The UNC football team defeated Florida State 37-35 off a Nick Weiler career-high 54-yard field goal in Tallahassee, FL on October 1, 2016. Michael Elliot, known as "Waterpipe" by his skating friends, enjoys visiting different skate parks around North Carolina. "I usually go to parks in Wilmington or Raleigh, but I like how small and simple the parks are here in Chapel Hill," Elliot said. 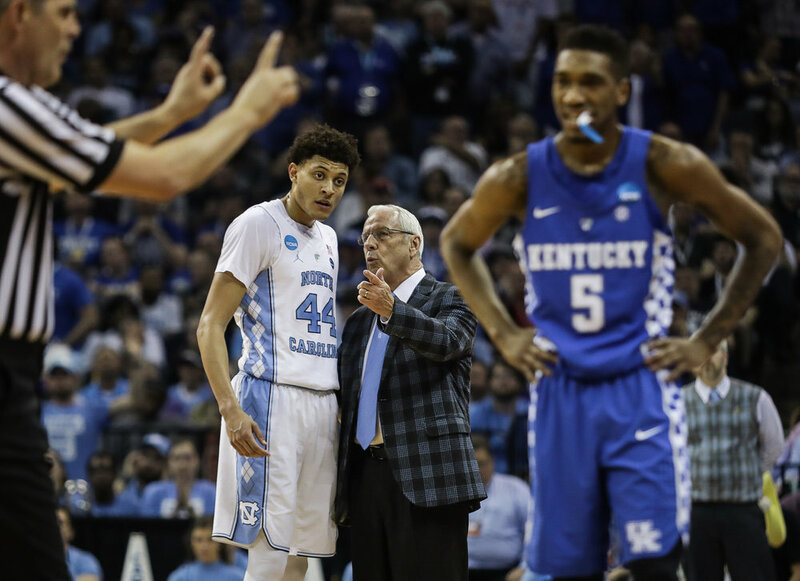 North Carolina head coach Roy Williams instructs Justin Jackson (44) during the NCAA Elite Eight game against Kentucky in Memphis, TN on March 26, 2017. T.J. Logan (8) makes a diving play to score a touchdown against FSU in Tallahassee, FL on October 1, 2016. North Carolina forward Kennedy Meeks (3) blocks Nigel Williams-Goss (5) in the dying moments of the NCAA Final against Gonzaga on April 3, 2017. The Tar Heels won 71-65. 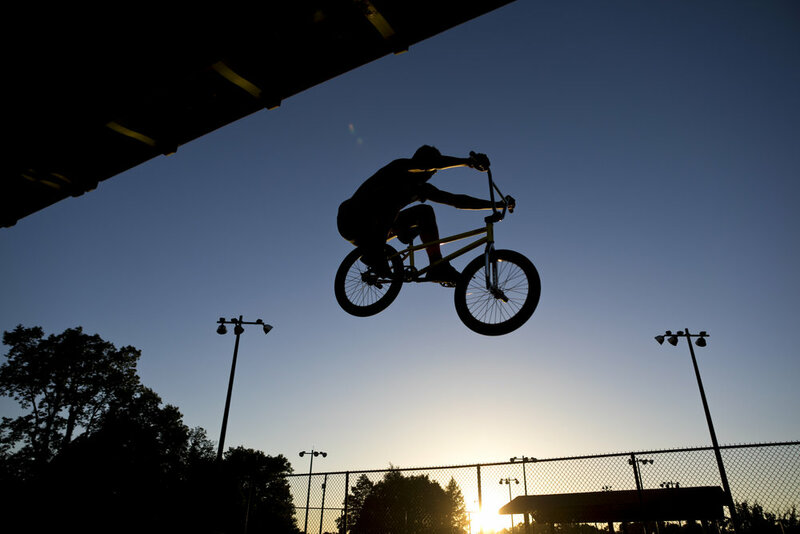 Bryant Morales jumps his BMX bike at the Wasena Skate Park in Roanoke, Va. on June 4, 2018. Morales started going to the park in 2012. 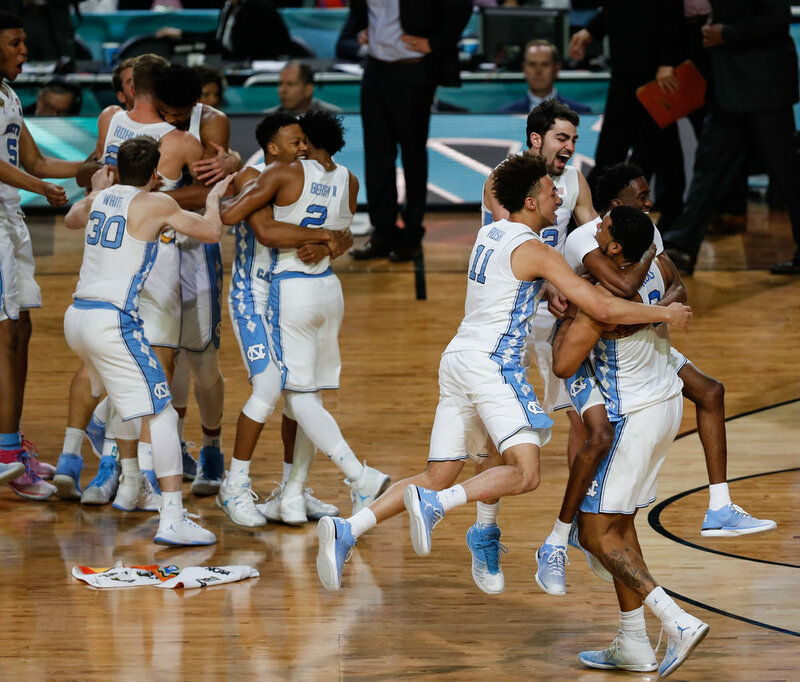 The North Carolina men's basketball defeated Gonzaga 71-65 in the 2017 NCAA National Championship in Glendale, AZ on April 3, 2017 to claim the title only a year after losing to Villanova in the title game. 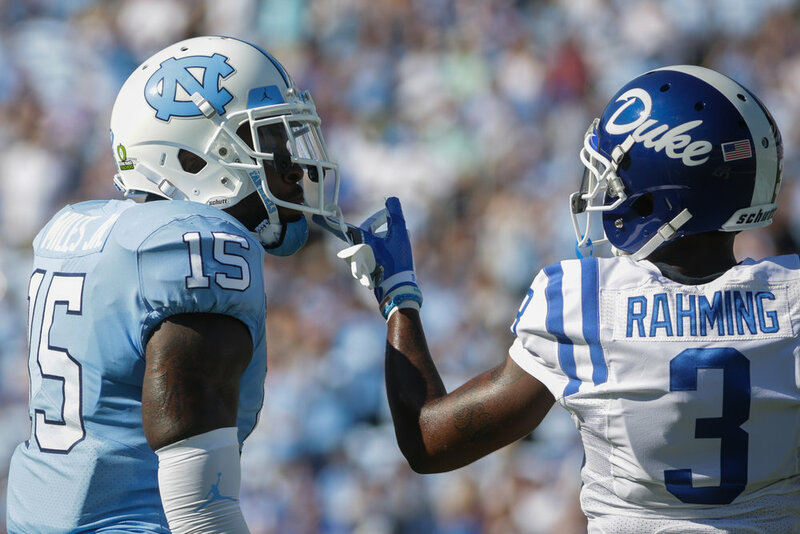 North Carolina safety Donnie Miles (15) and Duke wide receiver T.J. Rahming (3) exchange words during a game in Kenan Memorial Stadium on Sept. 23, 2017. Duke point guard Trevon Duval (1) jumps to dunk the ball during a game against North Carolina in the Dean Smith Center on Feb. 8, 2018.